Making a Difference That Counts. We are INVESTING IN LIVES and THAT’S WHAT COUNTS. Thank you for your part, we cannot possibly do this without your help! Our Mercy Ministry Team passionately shared how they go about doing acts of kindness in the community of New Matadi. 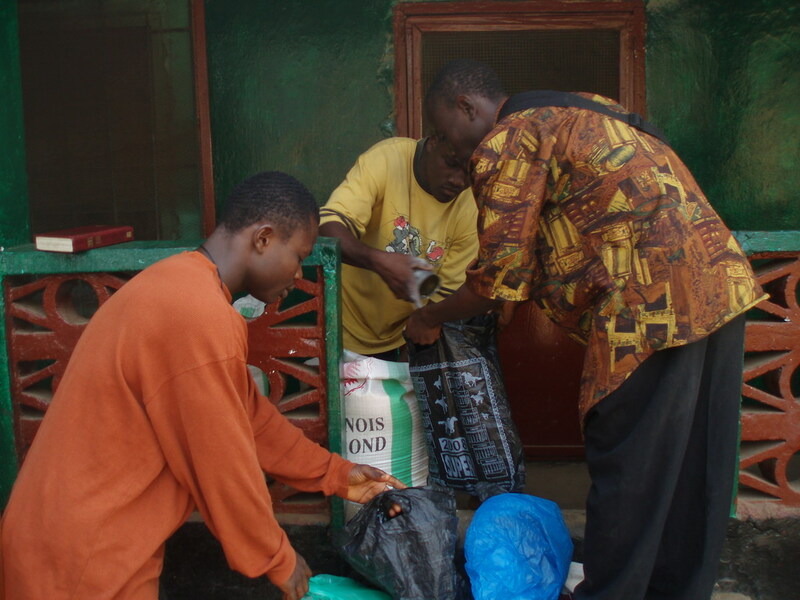 In the photo below they are bringing household items to a widow who lost everything in a house fire. They told me how they saved a baby’s life by bringing milk. One after another shared a story. ” We are called to this!” I was thrilled to see that this has become THEIR VISION. These are the kind of leaders we are raising up in MY FATHER’S HOUSE (Click) + in the DISCIPLESHIP TRAINING CENTER. (Click ) This is what will change this war torn nation. 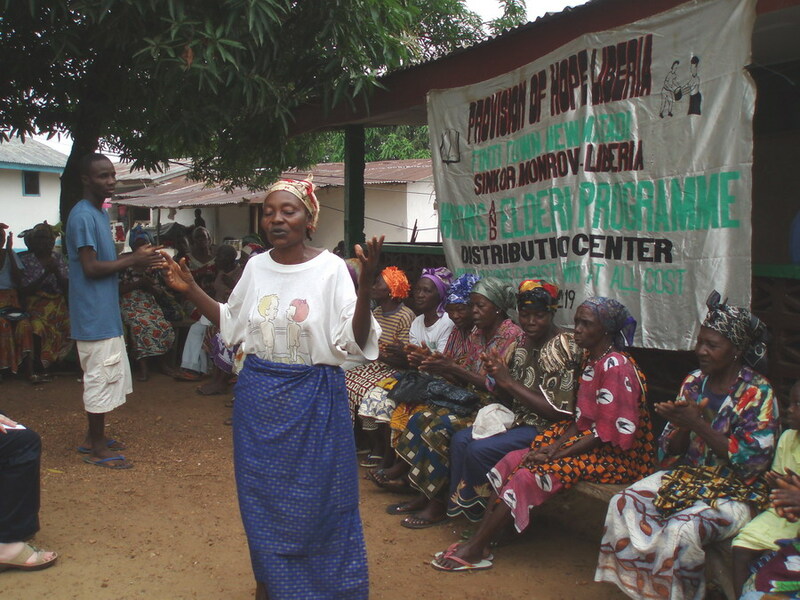 It will be the Liberian people who will rebuild this nation…those who stand for JUSTICE AND MERCY and walk in a SPIRIT OF TRUTH. 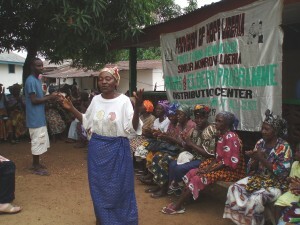 A WIDOW IS THANKING GOD FOR HIS GOODNESS. THE BOYS DISTRIBUTE THE RICE. ESTHER who now has 14 CHILDREN. They were overcrowded in a very small house. Piling up on just a couple of mattresses. THE SECOND HOUSE IS FOR THE HOPE FOR LIFE boys (click the name to view a video). 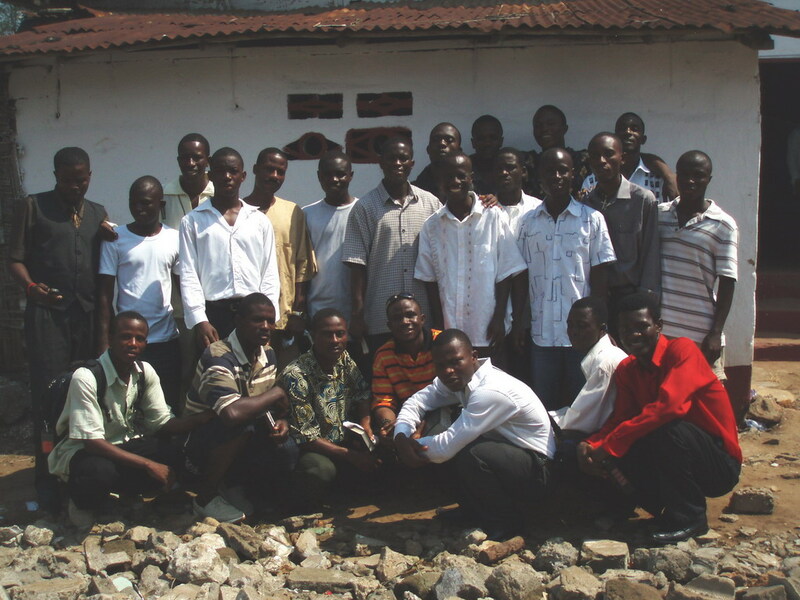 THESE BOYS HAVE BEEN SLEEPING IN PASTOR WEAH’S CHURCH FOR THE PAST SEVERAL YEARS. They have virtually nothing, but a few clothes. WE HAVE $900.00USD down on each place, but we still need $900.00USD more for each house, to complete the rent for one year. If you could help us, with these new projects, we would be so grateful. Both houses are nice and big. 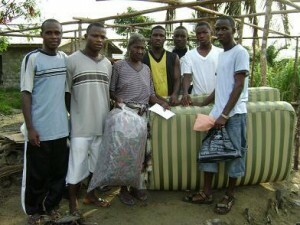 We will need new mattresses ( $40.00 per double mattress ) and more mosquito nets + bedding. The houses are both located in a very quiet neighbourhood in New Matadi, close to schools and close to church with plenty of space for the children to play. Unlike the conditions you see in the photos. You should hear these children sing. They sound angelic! Watch the Youtube video below. Click here: ESTHER HOPE HOME to see more info on this home. 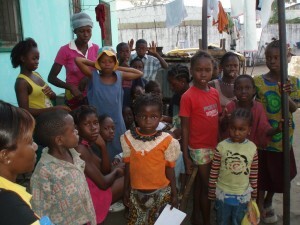 We are looking for 12 more sponsorships for these children. If you know of anyone wanting to sponsor children, please direct them here, or forward any emails. One time donations are also very beneficial. Every June we do a walk for children to raise money for school fees. Hope For Life Boys (Melody Of Praise singing group) performing on the beach for a music video. The HOPE FOR LIFE boys ( in the photo above) did a beautiful music video out on the beach by the ocean. They were worshipping from the bottom of their hearts! Tim Moores, professional film maker, captured the moment. These boys are passionate for the Lord. I am so glad they are finally in a house. They named this place HOUSE OF BARNABAS, because it is a house of encouragement. They are hoping to buy some paint to paint their rooms, and the front of the building. They can do the work themselves. Please pray that the landlord will have patience until the funds are in. We do not want to lose this place. Click here to DONATE. You will see details for both Canada and USA for tax receipt purposes. 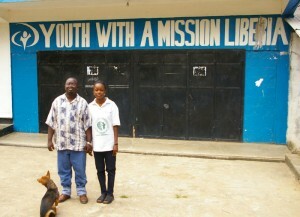 We had the opportunity to visit all the recognized schools in Liberia. We met with the administration of these colleges and universities, taking a good look at what is offered, and what resources are available to our students for learning. Carol Jones spent hours with our students determining which schools and courses were most beneficial and giving guidance counselling accordingly. We spent one afternoon with the Federation of Liberian Youth (FLY). Over 40 youth organizations from all over Liberia, met with FLY, regarding a document they will present to President Ellen Johnson Sirleaf, on their behalf. They were requesting that they be granted a voice in legislature. This was a most interesting meeting. There is a new breed of young people, rising up in this nation. These are the future leaders who will run this country, and continue to rebuild this nation on a solid foundation of PEACE. THE PRINCE OF PEACE. Provision of Hope formed a partnership with YWAM (Youth with a Mission). 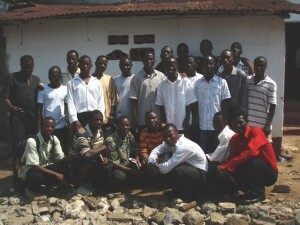 We would like to see some of our boys take the Discipleship Training School which they offer every October. This is an excellent school to develop an intimate walk with God and really get grounded in the ways that Jesus walked. Perhaps someone would be interested to fund a student for this school. The costs are very reasonable and the students board right there. $350.00 per student. Contact us for more details. We continue to feed the poor, help refugees home, find accommodations for the homeless, and help those who are sick. This is over and above the homes we are running and all the students we are currently putting to school. There certainly are times, I feel like I am in WAY OVER MY HEAD…yet I know WHO IS LEADING ME, AND WHERE MY HELP COMES FROM. God bless everyone for your prayers and your love for the orphans, widows and refugees. The needs are overwhelming, but as we reach out one by one, we make the world a better place. 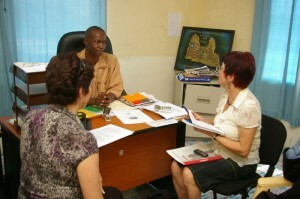 I am inspired by God’s work in Liberia through your humble but faithful work! Thanks for the updates. I can not stop viewing this website each time I visit the net. 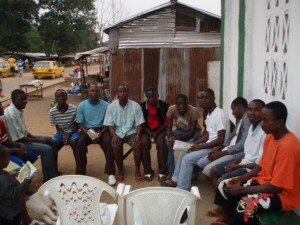 Today I took another look and realize what great impart you are making on the young people of Liberia. You have given up yourself as a sacrificial lamb to pour out for the lives of hurting people in post war Liberia. We the people of Liberia will not cease to say ” God bless Mom Karen.” I am a living example of the way you have identified with the Hope Renewal Ministries to reach out the dream we have for hurting boys and girls in post war Liberia. Thank you for helping us renew the hope of nations. mom you are so amazing thank very much only God will reward you.